All RB Continental cases feature a Ballistic Quadraweave exterior, quilted "double helix" velvet interior, high-strength corded edges and seams, and double-stitched with high tensile thread and reinforced at tested stress points. 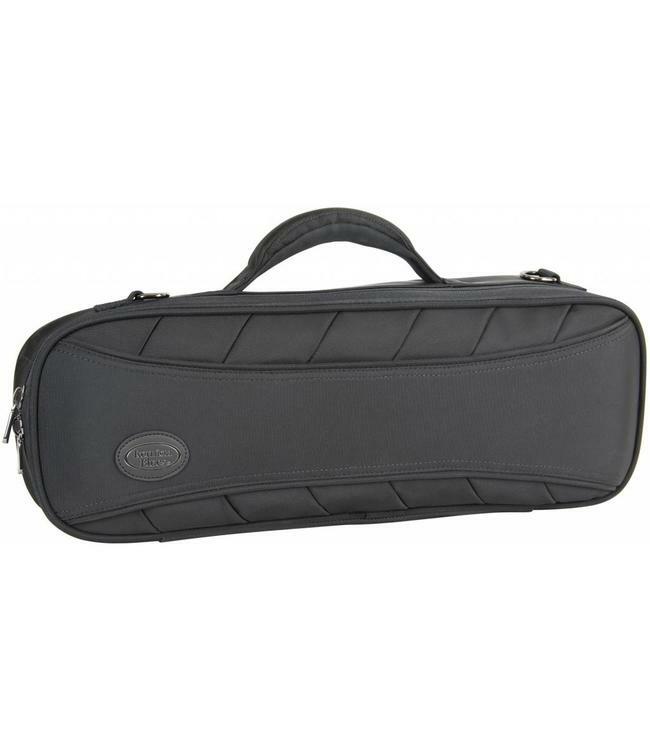 This trumpet case has a thick shock-absorbing Flexoskeleton with reinforced impact panels, a unique bell area suspension system, and additional fitted interior pads. The Zero-G palm-contoured handle and two adjustable shoulder straps makes travelling with this beauty a breeze. Large zippered quick-stash accessory pockets provide plenty of storage. Each case is reinforced at tested stress points and double stitched with extra-strength high tensile thread. A knurled abrasion grid on the bottom resists scuffing. The case is finished with custom plated hardware, including industrial strength zippers, for unsurpassable longevity.